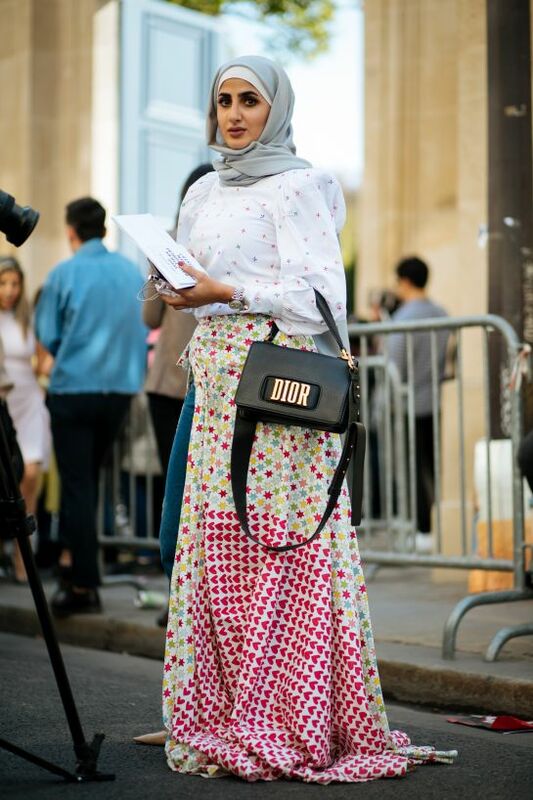 Paris can never disappoint you when it comes to street style and in the final leg of Spring/ Summer 2018 collection shows, we have got some major fall trends. Day one of the Paris shows included Dior, and oh did people commit to showing Maria Grazia Chiuri some love! The designer's maxi dress with a sweetheart neckline was spotted in at least four different versions — truly there's one for every mood! And we haven't even gotten into the whole black beret thing. 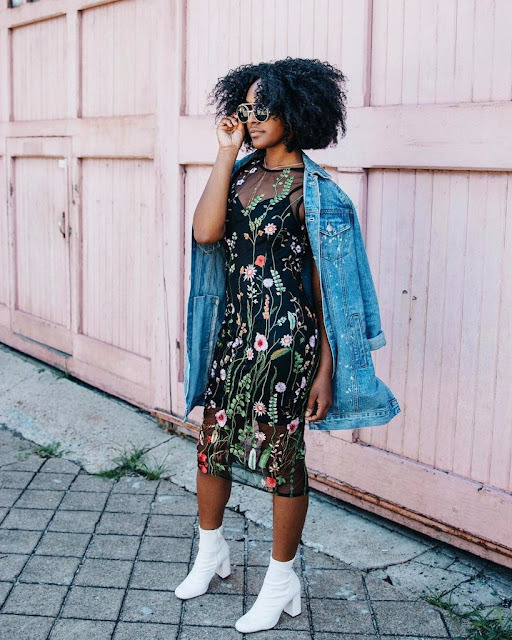 When we saw them go down the runway last season, we were intrigued. But after spotting it on so many women outside the shows, well, it's status has officially been upgraded to need now. As for the rest of the looks? 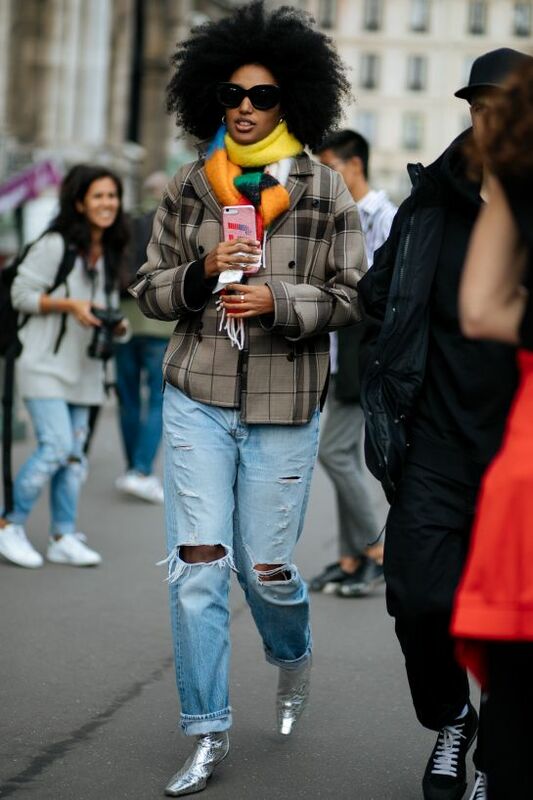 It's quintessential French-girl style at its finest filled with all the most covetable vetements around. (And no, we're not just talking about pieces by Demna Gvasalia). Yellow is slowly taking over millennial pink as the color du jour, and this outfit is making a really good case for its eventual supremacy. White shoelaces are an awesome (and easy!) way to add excitement to an outfit. Contrasting colors in your outfit is cool, but when you start messing with textures, that's how you know you've truly made it next level. Pattern mixing is definitely an advanced level of putting an outfit together. The rule is usually to keep it in the same color palette and size, but Susie Bubble knows how to break the rules. 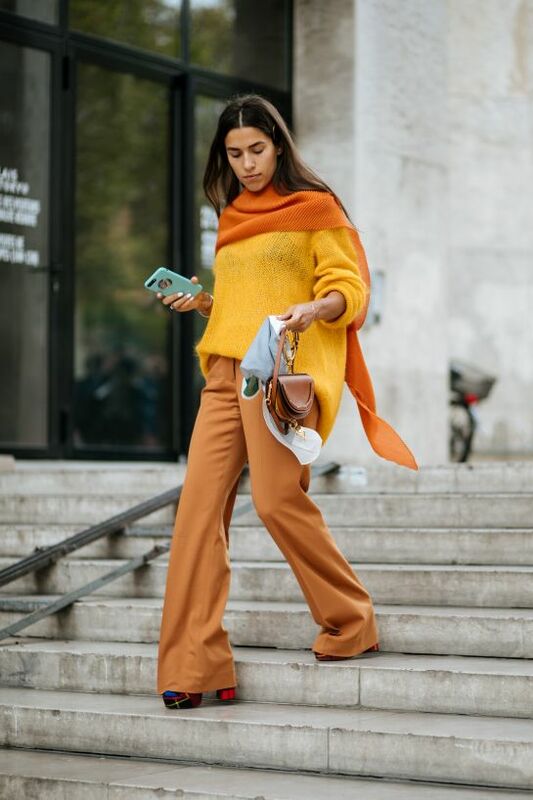 We've long been fans of the cropped jacket and the high-waist pant combo, and it looks like Giovanna Battaglia-Engelbert is on our team too. Not bad at all! Silver boots can really elevate even the most ripped pair of jeans. Pleats, patent leather, and pointy yellow pumps — yes, please! Okay, we are definitely adding a leather beret to our fall must-have list and that choker! We always love a cool mix of patterns. White boots are a great way to make autumn colors stand out. What are your favorite street style looks from the fashion weeks in New York and Paris? Share them with me in comments.